Anyone eat at Big Mike's in Houma ? What's your favorite? Mine is whichever one I happen to be at. Interstate BBQ in Memphis is real good. I liked Dreamland when there was one in Baton Rouge. 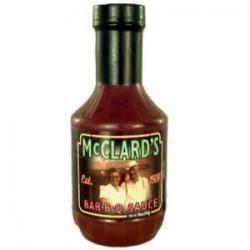 Mc Clard's in Hot Springs Arkansas. At $15.96 a bottle it better be good. I like Sweet Baby Ray's and I got a couple of bottles the other day at Dollar General for a buck apiece. I ate there a long time ago. I bet it's cheaper at Wal Mart. I like sweet baby Ray's too.